Staff Selection Commission (SSC) has released the examination calendar for the year 2018-19 until March 2019. 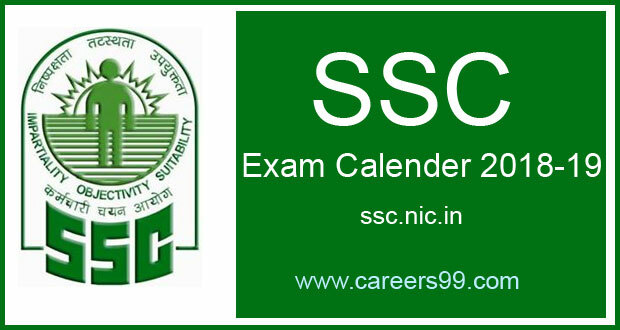 In this SSC Upcoming Examination Time Table, You can find Date of Advertisement, Closing Date of Application and Date of examination is included in the sheet with different columns along with the name of the examination maintained in a row. Adding to this, the shifts of examination and the mode of examination are also included in the long sheet. This calender will be useful for any job seeker to plan the study accordingly.